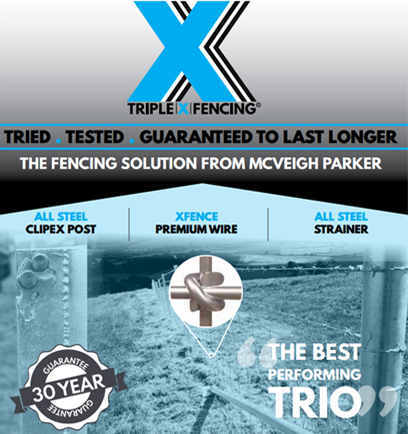 Triple X Fencing solution from McVeigh Parker, is the name we give to a combination of the best performing innovative products, that are the answer to providing you with a long lasting effective fence. It is a long life permanent fencing system – the quick clip steel post coupled with X fence premium stiffstay wire netting, steel strainers and a choice of either barbed, line or electric wire are quite simply an agricultural fencing system like no other, offering real returns on investment with up to 50% lifetime cost savings being achieved. 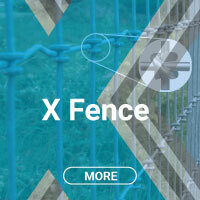 The unique properties of X fence not only make it stronger, it lasts longer. 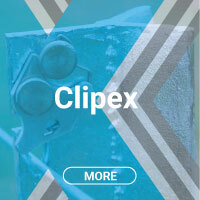 X = Clipex the multi award winning permanent quick clip galvanised steel post. X = Triple X Strainers British made featuring fully welded base and thrust plates, fully welded top caps and pre-drilled holes for ease of strut installation. 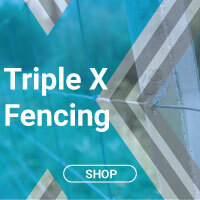 Triple X Fencing offers real returns on investment, installation and longevity. 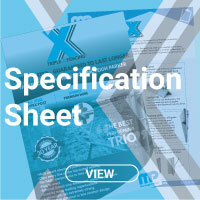 Triple X fencing system promises to offer a minimum of 50% saving in lifetime fencing costs. 50% quicker installation times can be achieved, “no stapling required, no fiddly components to deal with”. Farmers, landowners and contractors all recognise the ease with which this system can be transported and erected, especially in some of the most challenging terrain where it is difficult to get machinery. This revolutionary system will save you valuable time, money, and give you a fence that is guaranteed to give you a service life in excess of 30 years, something rarely considered when purchasing timber. 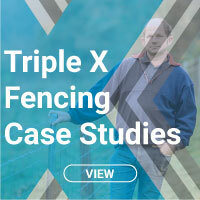 Fully recyclable at the end of its life, which helps to offset the carbon footprint on certain government projects, Triple X Fencing is a whole family of quality fencing products that will last for the 21st century and beyond.